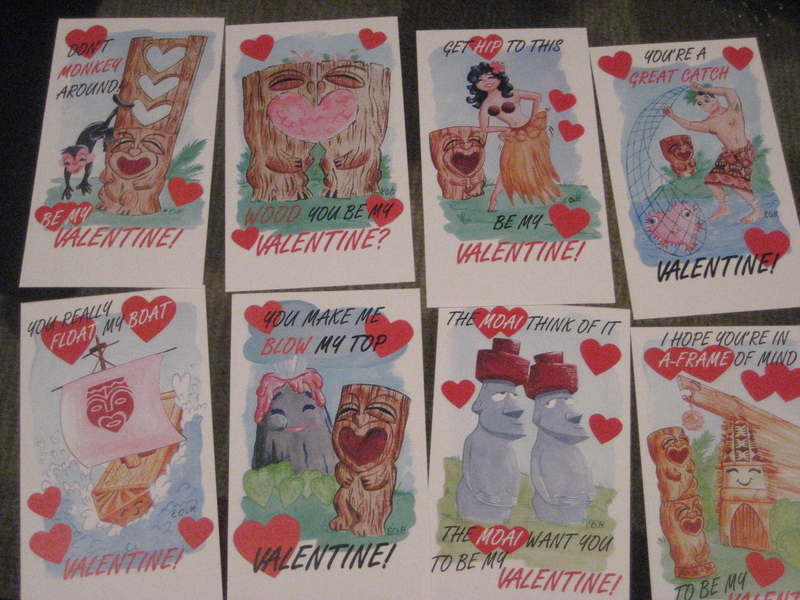 I got these elementary-school-style tiki valentines from Eric October back at the Tiki Luau Night at the Egyptian. Aren’t they adorable? (And this is only half of the super cute set.) Happy Valentine’s Day, folks! UPDATE: These are available for purchase in his Etsy shop. Happy Valentine’s Day, Tiki Chick! Love you! Let me know when the next break in your busy eating schedule is!